One of the reasons that we bought our house in 1981 was its indoor grill. A modified A-frame, it was built in 1968. The open brick chimney goes up through the central portion of the house, dividing the living room from the kitchen/dining area. On the living room side is a raised hearth and fireplace. On the other side is a built-in grill. 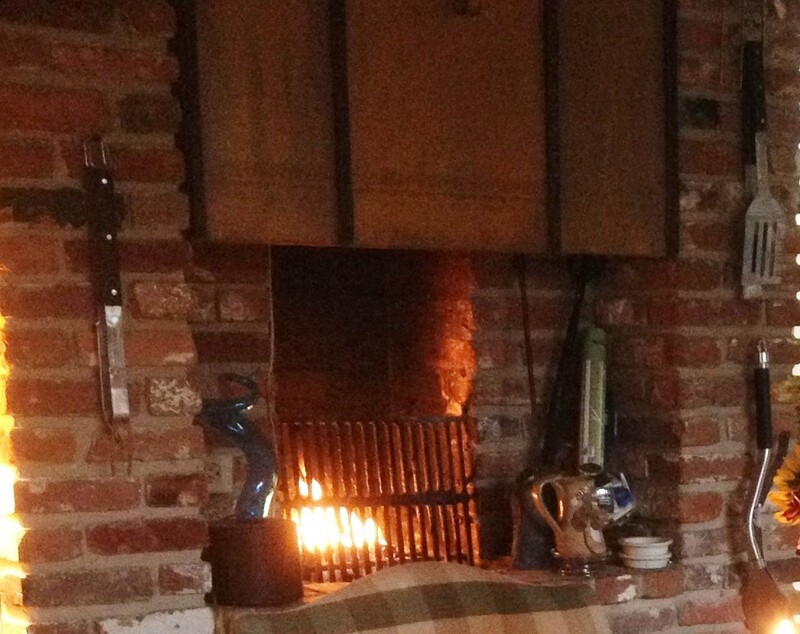 What a luxury in the winter or on a rainy day to build a charcoal fire and grill! Or, for Thanksgiving or Christmas, to burn a log while we eat. About 10 years ago, we won a fancy stainless steel gas grill and put it on the deck outside our back door. The charcoal grill is rarely used any more, because it’s so easy to pop out the back door and fire up the gas grill in any kind of weather, as easy as turning on the stove. If I decide to have Caesar salad with grilled chicken, I just fire up the grill and make my one little chicken breast half. I wouldn’t bother if I had to make a charcoal fire. One of my favorite recipes translates especially well to grilling at home, at a picnic, or even on a boat. The chicken transports handily in its zippered plastic bag, and the mess of the marinade is easily disposable. Anybody can make this chicken. You can grill it on a grill or in a grill pan, or even bake-and-broil it. ONE Tablespoon of Tabasco — you read that right. 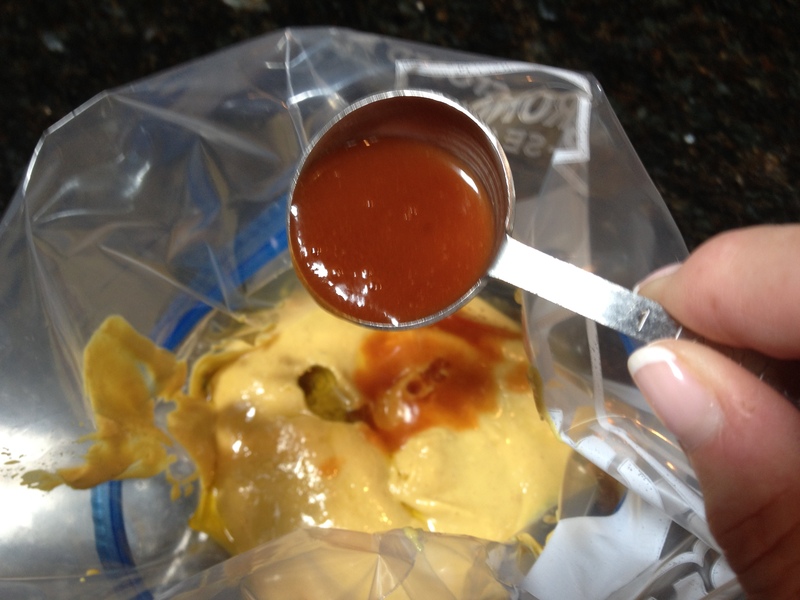 In the plastic bag, combine mustard, oil, and hot sauce. Add chicken parts and securely close. Shake chicken in mustard mixture to coat thoroughly. Place on a pie plate or glass baking pan and refrigerate for 2-6 hours. The pie plate keeps your refrigerator from becoming a mess, should the bag leak, and gives you something to carry the chicken to the grill. Season cold grill or grill/broiler pan with a little vegetable oil. Moisten a paper towel with a little oil and, holding the towel with tongs, wipe the grill. Oiling the grate keeps the chicken from sticking. Preheat grill pan for 1 minute on medium-high. Remove chicken from plastic bag (melted plastic is toxic and too chewy, in case you didn’t know) and spread mustard coating evenly over chicken. Place chicken parts on grill or in grill pan, cover, and grill for 7 minutes. Turn 1/4 to make the “diamond-shaped” grill marks and grill 3 more minutes. 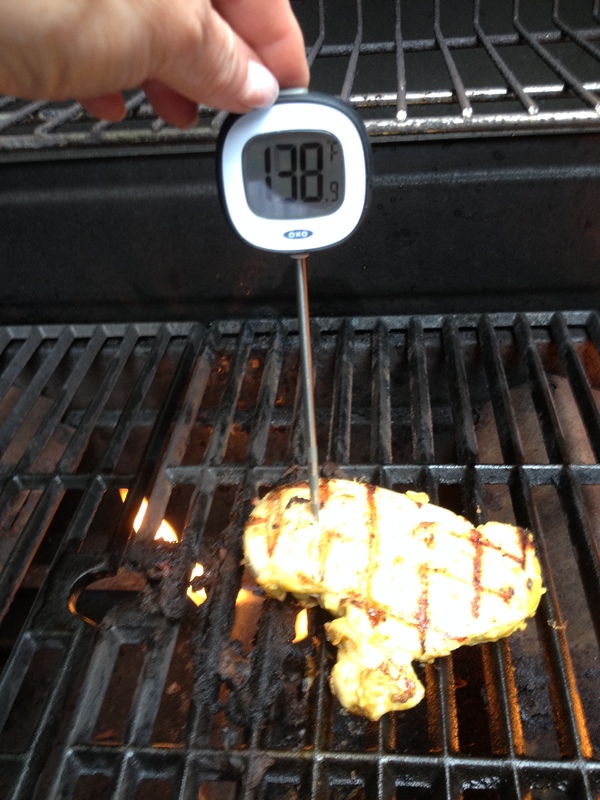 Cook until thermometer reads 160. Serve with grilled vegetables and potato salad. Or just a hearty green salad. Overachiever that I am, in chilly weather, I serve it with toasted walnut risotto and asparagus roasted or grilled with garlic oil. And lots of crusty bread with dipping olive oil. And red wine (trust me on this) or a gigantic chardonnay. Leftover chicken is delicious on a salad or mixed with a little mayonnaise into a salad or diced up in a cream or pesto sauce over pasta. The possibilities are endless! 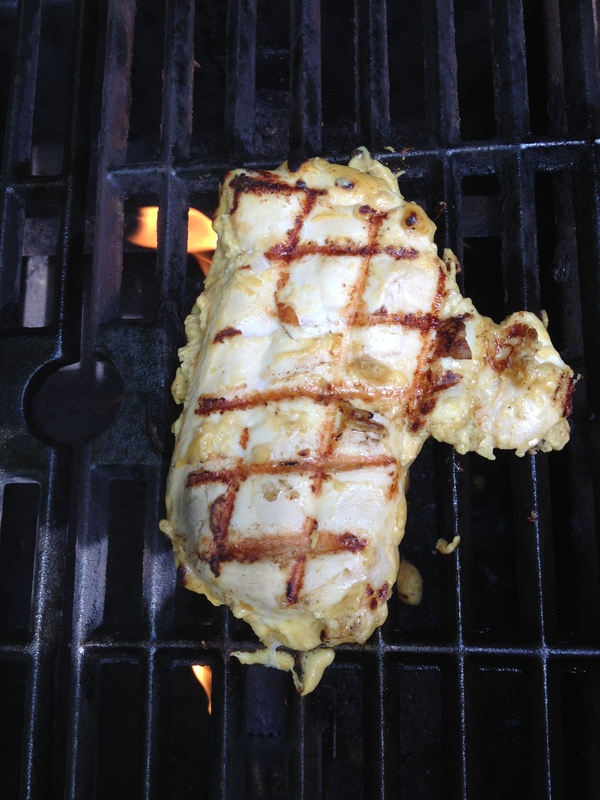 Categories: Food, Recipes | Tags: chicken, Cooking, food, grilling | Permalink.